Despite the undeniable contribution of religion to human welfare, it threatens to be seriously divisive, especially if limits of disagreement amongst religious people are not properly respected. Whereas diversity of religious traditions can ideally help people in comparing the relative strengths of the teachings of their respective faiths and in adjusting accordingly, religious bigotry — the tendency to claim truthfulness of one’s own faith and treating all others as worthy of condemnation — leads not only to suffering for many, it also results in drawing many people away from the idea of taking religion seriously. Although in the recent past religious bigotry was beginning to appear less pronounced, many events have led the conscientious people of the world to realize that the monster is very much alive. The bloody civil war in Bosnia, the horrible events of September 11, 2001 and their consequent aftermath, the lingering bloodshed in Israel and Palestine, the unending manifestations of hatred between Hindus and Muslims in India and many other similar unfortunate examples around our misery-stricken world strongly beg all religious groups of the world to urgently attend to the curse of extreme religious bigotry. This paper addresses the question of how to deal with religious diversity from an Islamic perspective. It has been divided into five parts. Part one is the introduction. The second part describes the three important responses to the phenomenon of religious diversity. It is accompanied by a mention of the strengths and weaknesses of each of these approaches. The third part mentions an Islamic approach to the solution of the problem.1 The fourth part mentions three criticisms on that solution and my responses to them. The fifth part concludes the paper. The basic problem with the Exclusivist approach is that it prevents the believer in a particular religious tradition from conceding that adherents of other traditions can have any possibility of following some version of religious truth to any degree. This leaves hardly any room for imagining that salvation in the afterlife is possible for those who don’t formally believe in the Exclusivist’s faith. The consequent understanding of hopelessness in the religious status of non-believers that naturally results can at times lead to hatred against them which in its worst manifestation expresses itself in the form of violence. Even if an Exclusivist is peaceful and apparently respectful towards people belonging to other faiths, he is not doing so as a consequence of his genuine understanding that the other person deserves it. He only does it as an unavoidable social adjustment or as a part of a cleverly contrived long-term strategy of undoing the other faiths.4 Commitment to the Exclusivist approach by a group of people is a potential dynamite that can explode any time if exploited by a misled religious leader or a political opportunist. However, it could be mentioned on the positive side of the Exclusivist approach that it enables the believer to have the much needed confidence in the ultimate truth of his belief. Khan has rightly pointed out that the only purpose of religious truth is to provide man with confidence. Man desperately needs confidence of certainty to live in this world. Religious truth provides him with exactly that.5 In case of absence of conviction, a religious belief is reduced to a mere philosophical hypothesis or the final product of a confused collection of a few spiritual experiences. In an Inclusivist approach, the presenter accepts the right of other faiths to survive side by side with the faith of the Inclusivist, despite not accepting their validity. It allows them reasonable breathing space and the possibility to exist with dignity. Badham’s criticism of Christian Inclusivists is only partly valid. It is not quite fair to claim that the Vatican Decree acknowledges the existence of other faiths only in so far as they have points in common with Christianity. His observation is correct when one views the Decree’s approach towards Muslims and Jews. However, the magnanimity of the Decree in accommodating Atheists,9 who share nothing with the basic understanding of Christianity, the Vatican has done enough to escape Badham’s criticism. I disagree with the basic spirit of the Vatican Decree on account of its inconsistency with the Biblical teachings. The New Testament of the Bible states thus: “For God so loved the world that he gave his only begotten son, that whoever believes in him shall not perish but have eternal life.” 10 If the Christians believe this understanding to be correct, they should not expend their energies to unnecessarily vindicate other faiths. After all, if Jesus Christ is the only saviour for the humans, desperate efforts should be made by Christians to ensure that those who don’t accept that understanding should be made to believe in it. Praising the ‘misleading’ teachings of non-Christian faiths should be seen by committed Christians as an attempt to guide the non-Christians towards destruction. The polite and accommodating tone of the Vatican Decree doesn’t seem to be doing justice with the real spirit of the Biblical text. According to the Pluralist approach, all important religions are genuine human responses to the same Transcendental Reality, even though influenced by the respective cultural environments of the religious leaders. Thus all of them are simultaneously correct, and all offer important insights into the understanding of the Ultimate. Religious Pluralism is claimed to be “a totally open-ended search for truth based on the assumption that all the major religions of humanity have insights to offer, and it must also accept that much of the secular critique of traditional religion, is justified and needs to be taken on board also.”11 The Pluralist position rejects both Exclusivism and Inclusivism and calls for genuine Religious Pluralism. Khan, however, doesn’t offer any methodology of inculcating the basic spirit that would inspire that respect. You don’t show respect to others for nothing. If respect is not inspired by a true theoretical clarity, it is bound to be shallow, artificial, and brittle. It is likely to whither away under pressure. Many religious people reject others as not worthy of their respect because they believe that those others reject their perception of religious truth. Something needs to be done to pacify that feeling or else respect for other faiths would remain an unrealizable dream. Pluralism is not an acceptable approach, because it assumes that all religions are simultaneously correct, which is an obvious absurdity. An individual seeks religion to get definite answers to the problems he is facing. The problems that religion helps in solving can’t be solved through half-certain answers. Uncertain answers to questions like purpose of life, truth about life beyond death, and expectations of our Creator from us are in fact no answers. The suggestion that God has manifested His will to different people in different ways is, at best, confusing. It is in the very nature of the questions that religion seeks to respond that answers to them should be offered in most certain terms. Uncertain answers are as good as no answers. It is the task of religion to inspire confidence in the believer. Failure to do so would push a certainty-seeking religious person into an uncertain territory of philosophy, which may claim to enjoy the luxury of objective reflection, but is devoid of the pleasures of confidence that emerges from religious certainty. An example would clarify my point. The New Testament of the Bible mentions the claim that Jesus is the son of God.14 Qur’an on the contrary clearly rejects the possibility that God can have a son.15 The two claims cannot be simultaneously correct. Moreover, these claims do not seem to be influenced by the respective cultural environments of the religious leaders. They are confident, though conflicting, claims about a religious position. The above discussion gives rise to an important question. How could one be certain whether what one is following is the true message of his God? The answer is that an individual would need to be objective in examining the teachings of his faith to inspire within him confidence about its veracity. This objective appraisal would indeed raise questions that would seek answers. The answers would either satisfy the believer to confirm his confidence in his faith still further, or else would weaken it and as a consequence he would be inclined to look for the other alternative explanations. This struggle would continue until such time that the seeker after truth would either get relative certainty or else he would continue his journey. This quest for truth is helped by the preaching efforts of believers of other faiths. An intelligent preacher would not only be conveying his own message to others but would also be objectively receiving message from those others as well. Thus believers of different faiths can enter into meaningful dialogue for mutual benefit. The possibility of such exchanges are severely curtailed by the understanding of Religious Pluralism, which takes away the sense of urgency from the believer who considers the other religious explanations equally valid too. One might ask whether there is ever a realistic possibility of such exchanges of religious views. Does it really ever happen that way? The answer is in the affirmative. It does happen amongst religious people in many cases. That is what explains the phenomenon of conversions that continue to take place on a regular basis all throughout the world. If one were to accept the explanation of Religious Pluralists, then all the religions of the world would become strictly inward looking in religious matters and would cease to attempt any possibilities of influencing people of other faiths. That would indeed deprive religion and its followers of the vibrant spirit of serving their faith that keeps them motivated. It would be a tragedy to kill that spirit because of the fear that its misuse could cause damage. The fact that aeroplanes do sometimes crash doesn’t lead us to conclude that we should do away with them. What is attempted instead is that more measures are introduced so that the frequency of such accidents could be minimized. Likewise should be our attitude towards exchange of religious views and preaching. This process also ensures that religious beliefs of people do not remain the end result of the process of brain-washing but should be the outcome of intelligent choice-making. It is this process of preaching and exchanges of religious views that enables the intelligent believer to feel confident that he is not believing in his faith as a consequence of being subjected to the process of one-sided propaganda for his faith and that he is not being negatively brain-washed against other faiths due to his ignorance. He would know, and many religious people do know, that his faith is the end result of a process of exchange and voluntary selection. The questions that remain unanswered are: i) Is there any one version of true religion? ii) If yes, then are all other versions untrue? iii) Is it always guaranteed that if a person undertakes an earnest effort to know the ultimate truth, he would get it? iv) If that cannot be guaranteed, then what is the purpose of any such version of the ultimate truth? v) Is the individual who despite sincere efforts failed to embrace the correct version of the ultimate truth to be blamed for his failure? The next section would attempt to answer these questions from an Islamic perspective. Muslims have normally been considered Religious Exclusivists, who would not consider people of other faiths worthy of respect for their religious commitments. This author believes that although this view truly reflects the attitude of many – though not necessarily most – Muslims it is not consistent with the correct understanding of the teachings of Islam. The following presentation attempts to show how Islamic teachings propose to tackle the issue of religious plurality. Islam, on the one hand takes a firm position in claiming that its teachings are the true version of reality from God, on the other hand it also calls for genuine respect for all non-Muslims. Even though a person influenced by the understanding of Religious Pluralism may not be immediately impressed by this view, a better understanding of the various verses of Qur’an on the subject would suggest that not only is it the correct Islamic understanding, this position can be supported rationally as well. Man started his religious journey with utmost clarity. This clarity was gifted to him by God a priori. However, because the temporary worldly life was meant to be a trial, humans were granted freedom. This freedom inclined them to differ and disagree in religious matters. In response, God sent prophets who confirmed what was right and rejected what was wrong. In the presence of the prophets, their addressees could see religious reality in its pristine form and therefore they had no justifiable excuse to reject it. Those who rejected it were declared, after an adequate time of effective preaching had passed, Kafir, which means a person who denies the truth from God despite knowing it to be from Him.17 Some of these prophets were Rasul (messengers), which is a status higher than the rest of the prophets, who are called Nabi.18 In case of a Rasul, if his nation rejected him, it got destroyed in this world, either through natural calamities or through the military might of believers. 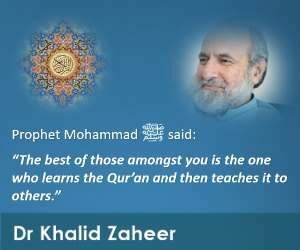 In times when prophets are not present, neither anyone can be described a Kafir nor can he be punished in this world for not believing in a message brought by a messenger, because of the existence of the possibility that the message may not have been properly and fully delivered by the non-prophet preachers. Believers are therefore expected to only preach intelligently in the absence of prophets. Since Muhammad was the last Rasul (and Nabi), the possibility of anyone getting labeled as a Kafir or punished for his disbelief after his death is eliminated for ever. While they are preaching, believers are expected to show respect to other faiths and behave in a manner that would not tarnish the image of their own religion. In case a non-Muslim (or a disgruntled Muslim) is drawn away from Islam because of a Muslim’s poor behaviour, the latter will be held responsible for his misconduct and its consequences. The Qur’an says: “Call them to the path of your Lord with wisdom and words of good advice, and reason with them in the best way possible. Your Lord surely knows who stray from His path, and He knows those who are guided the right way.” 19 In another passage it says: “So do not make your oaths a means for deceiving one another, lest a foot should slip after having found its hold, and you taste of evil for having hindered (others) from the way of God, and suffer a grievous punishment.”20 Politeness, concern, respect, and tolerance are therefore at the heart of a Muslim’s desired behaviour towards non-Muslims. i) All humans had the same religion. It was freedom of choice given to them that led to differences. Prophets were then sent to clarify the truth. Teachings of prophets clarified truth beyond any possibility of doubt. ii) Islam is the true religion of God. iii) Those who deny the message from God do so deliberately and therefore are worthy of condemnation. iv) Non-Muslims are not necessarily always Kafir. a) Even during a certain stage in the presence of prophets, non-Muslims are not Kafir, until such time that they deliberately reject their message. b) So long as the Jews and Christians were not convinced about the authenticity of Islam, they were required to follow the message they thought was from God. c) Some non-Muslims have in fact been praised in Qur’an for their good character and attitude. v) Disbelievers (Kuffar) are bound to fail. Such statements as the one above, if not understood in the right context, result in extreme form of religious Exclusivism and bigotry. vi) Well-meaning believers of different faiths have been promised paradise. Those not included in the above-mentioned list of people who have been promised salvation in the hereafter are the ones who deny God and the Hereafter, or don’t perform good deeds.36 The significance of this statement is that while there could be reasons for people not to accept messages of rightful prophets because of lack of proper information, belief in God and the life hereafter and inclination to do good deeds is naturally gifted in man. To turn one’s back on them amounts to revolting against one’s God-given nature. Although at the time of prophets, truth from God used to be so clearly manifested that there was no possibility for anyone to deny it, and therefore those who did so were considered worthy of being punished, no such claim could be made for the non-prophetic periods. Muslims have therefore got to perform only one role: preach and respect others for their faith, because they can never be sure whether the other people have rejected or stayed away from accepting the message of Islam despite knowing it to be from God. This approach is different from Exclusivism in that it allows other faiths the space to operate given the realization that full information about religious truth is unavailable and it is not possible to deliver the religious message of Islam to non-believers as effectively as prophets did. This approach is neither Religious Inclusivism of the sort adopted by the Vatican Decree37, nor Religious Pluralism as proposed by Rowland Williams, John Hick, and Paul Badham. It allows the believer to be as confident about his faith as an Exclusivist, but requires him to be as tolerant in dealing with the people of other faiths as a Pluralist. It is, in fact, a call for religious tolerance because of the possibility of lack of proper communication of the true message of God. Since no body knows whether the other individual has been communicated the message of Islam properly, therefore, no Muslim has the right to condemn any non-Muslim on grounds of religious differences. The point of view stated above has been created from only a few verses of the Qur’an. If the entire Qur’an is considered to form an opinion, then one could find many verses which appear extremely intolerant towards non-Muslims. What has been presented is only a one-sided picture which most fundamentalist Muslims don’t agree to and therefore they behave with non-Muslims in an intolerant way. Even if the point of view mentioned in this paper was assumed to be correctly reflecting the Qur’anic view, the question that still remains unanswered is this: Why then has it been mentioned in such an ambiguous way that even most of the Muslim scholars were not able to understand it? If the view presented in the paper is accepted, it has to be conceded that God wanted non-Muslims at the time of the prophet to be either crushed or subjugated. This understanding too is not going to sink too well with the understanding of justice and benevolence a humane religion is expected to display. Who is going to take the responsibility for the suffering that has already taken place because of the incorrect understanding of some Muslims? God Almighty has made this temporary life an occasion for trial. The real life is the one to come that would be eternal. If one is looking for complete justice in this world, one is living in a fool’s paradise. This world is unfair and would remain so as long as human freedom is allowed to be influenced by desire, prejudice, hatred, and other weaknesses. The only reason why a Muslim is looking for justice here is because that it is going to bring him success in the hereafter. Those who suffer in this world innocently will be compensated adequately in the hereafter. Suffering in this world is a part of the package of trial. We can only lessen suffering in this world, and all good Muslims ought to aim at that objective. However, the way this life has been designed, injustice and suffering cannot be eliminated. That’s why, according to Qur’an, it makes no sense to not believe in the life hereafter. God would make sure that all injustices of the worldly life are fully taken care of in the next life. In fact, one cannot possibly do greater harm to the cause of human welfare than to deprive humanity of a confident hope of a lasting life after death, based on principles of justice. 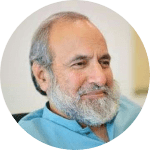 The correct Islamic approach towards non-Muslims is to assume that all of them have, as yet, not been properly convinced about the authenticity of the Divine origins of the teachings of Islam. It is for the Muslims to help the non-Muslims to appreciate the truthfulness of the Islamic teachings. That would require not only intelligent preaching on their part but, even more importantly, a behaviour of respect for the fellow human beings, irrespective of their faith. In case if they have to criticize other religious views, they should criticize only ideas and those too intelligently. The absence of the desired behaviour on the part of some Muslims has been an important reason for their failure to present Islam as a message that is worthy of being taken seriously by non-Muslims. It will only be taken seriously by them if Muslims are peaceful, tolerant, and respectful towards other faiths while they continue their peaceful struggle to convince non-Muslims politely. 1. The paper doesn’t claim that the approach mentioned in it is the only Islamic way of dealing with the question of religious diversity. 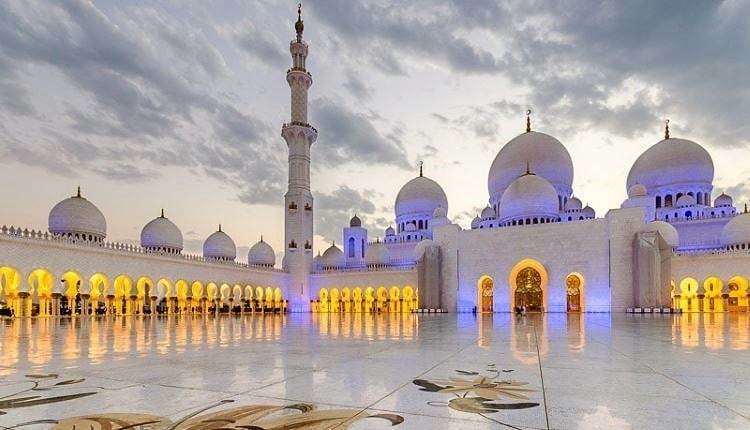 However, the author strongly feels that despite the fact that many Muslims prefer other approaches which have been criticized in this paper, the one presented here is the most strongly supported by Qur’an . The author acknowledges the profound influence of the ideas of Javed Ahmad Ghamidi Sahib and Mawlana Wahiduddin Khan in formulating the thoughts expressed in this paper. 4. I do admit that there could be examples of Exclusivists who would be genuinely interested in non-believers with a view to converting them to their faith. But that concern for others would give way to either lack of concern or hatred as soon as it is realized that the person is unlikely to embrace the Exclusivist’s faith. 6. See ‘The Islamic Approach’, page 5. 14. See Gospel of John, op.cit. The claim of some Christian scholars that this understanding is only metaphorical in nature doesn’t alter the fact that the text mentions it clearly and that a large number of Christians believe it literally. 18. While all Rasul were Nabi, all Nabi were not Rasul i.e. the latter is a subset of the former. 21. Parentheses have been used in the translations to serve two purposes: i) Explanatory words are added to help the reader in appreciating the full sense of a statement which, because of the peculiar propensity of Qur’anic text to be brief, is not stated in words but is clearly implied in the context; and ii) Phrases are inserted to clarify the meanings or connotations of an expression. For this latter purpose, the explanatory words are preceded by i.e. 33. In the light of a number of Qur’anic verses which clarify that rejecting the claim of a genuine prophet of God is an unpardonable crime, in order to correctly understand this verse it should be assumed that the religious people mentioned in this verse were not guilty of rejecting any genuine prophet of God knowingly. 36. The understanding comes very close to the following passage of the New Testament: “Then Peter began to speak: ‘I now realize how true is that God does not show favouritism but accepts men from every nation who fear him and do what is right.” (Acts; 10: 34-5) I would like to acknowledge Professor Paul Badham of St. David’s University, Lampeter, Wales for guiding me to the above passage in his e-mail to me dated April 22, 2002. 37. The Vatican Decree does say: “Nor shall the divine providence deny the assistance necessary for salvation to those who without any fault of theirs, have not yet arrived at an explicit knowledge of God.” (See Badham, op. cit., p.9) This statement of the Docree comes very close to the Islamic approach I have proposed in this paper. However, the spirit of this approach is somewhat compromised when clear statements are made vindicating the positions of other faiths. Also, the positive mention of atheists in the Decree cannot help in clarifying the true Christian position. 48. For example, Qur’an says: “…slay the idolaters wherever you find them…” (Qur’an; 9: 5). If this verse is to be held universally applicable, then Muslims should get rid of all the people they consider polytheist even today. Not many Muslim scholars would agree to that. However, if the vital distinction between era-specific and the universally applicable verses is not properly clarified, a literal understanding of this and other similar verses can have extremely dangerous consequences.